Happy Monday! 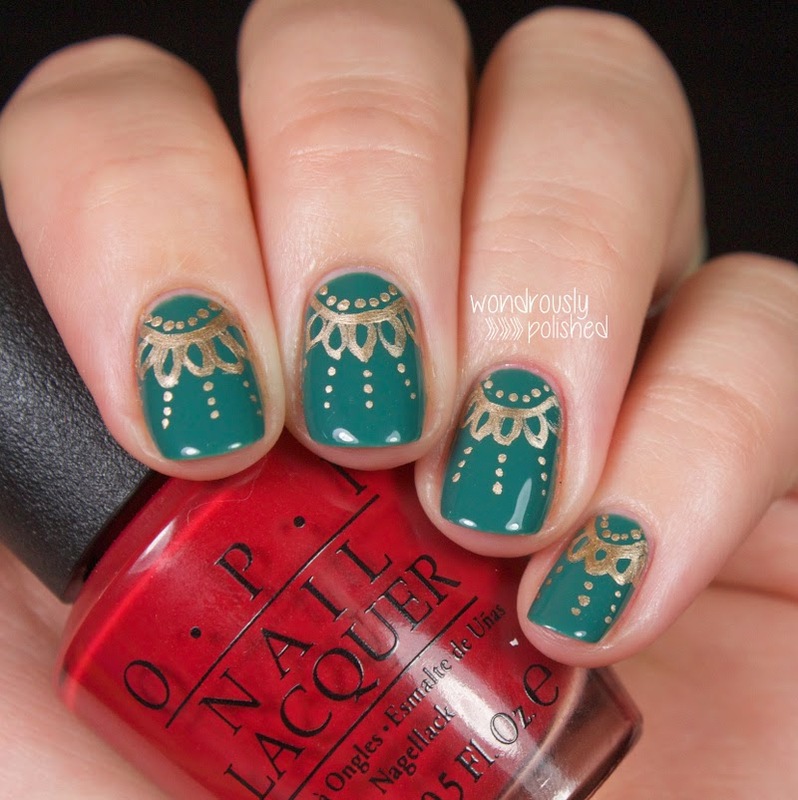 Today I have some swatches to share with you from an indie polish maker, Mi Amor Polish. If the name doesn't explain it enough, Mi Amor Polish was started by Courtney out of her love of nail polish, glitter, and her simple love of creating something beautiful. I've got several of her glitter toppers to share, so lets dig in! Today I've got a reject post of sorts. 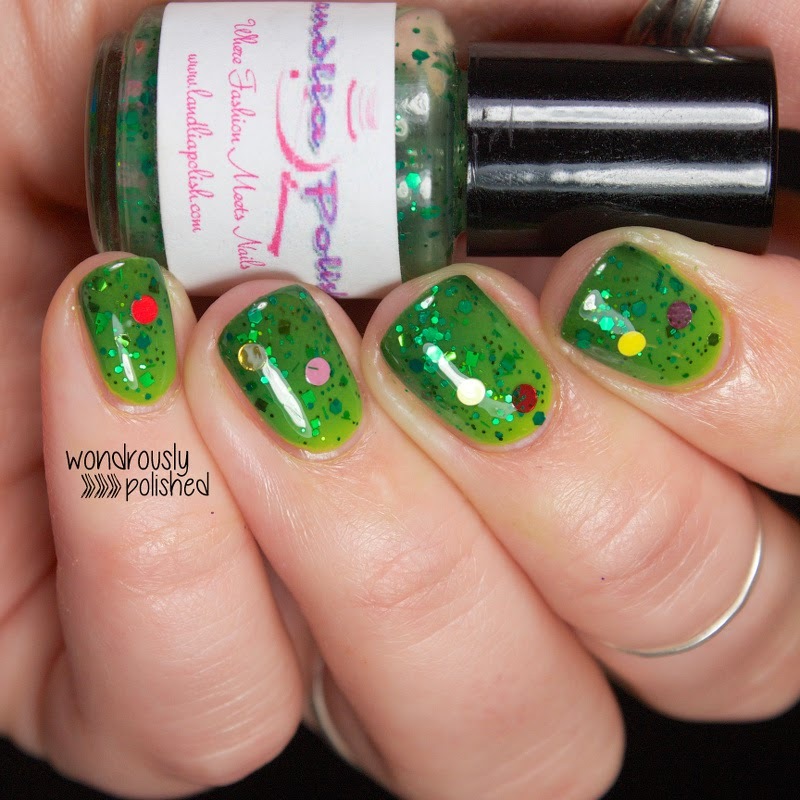 I had originally done this look with the intension of it being a guest post, and while I liked the look, I just didn't like it for the guest post. I was inspired by an image that I found online of a snowy tree scene that had the sunrise light shining through the trees and I fell in love. Despite my attempts, my take on this photo ended up being a bit more abstract and vibrant than I had intended. I've got another fair isle print look to share with you all today. I'm sure you can all tell by now that I tend to obsess over certain patterns and prints for awhile and will do them over and over agin until I get sick of them (I tend to do the same with music)! 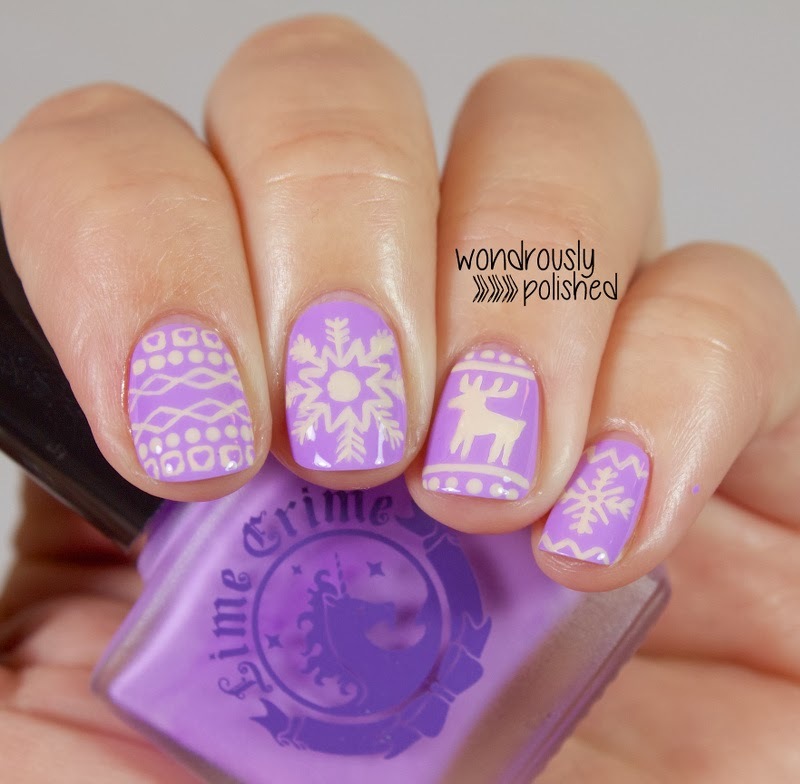 I've got a super quick post for you all tonight to share some winter inspired manis if anyone is looking for some inspiration (and how-to's!). I put together 2 easy looks that will help you get in the spirit of the season over at Deb Shops! 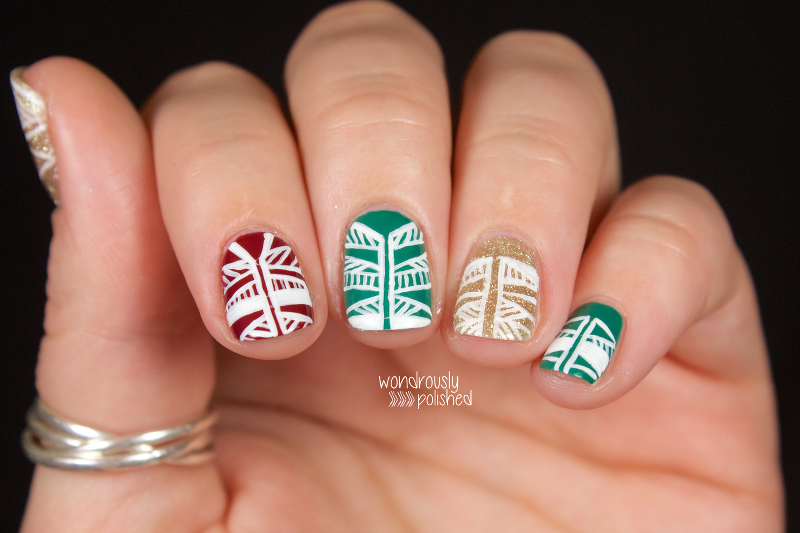 As you all probably know by now, I'm pretty much OBSESSED with Christmas sweater inspired manis right now so I put together a Fair Isle print look that anyone can master. I loved wearing these! 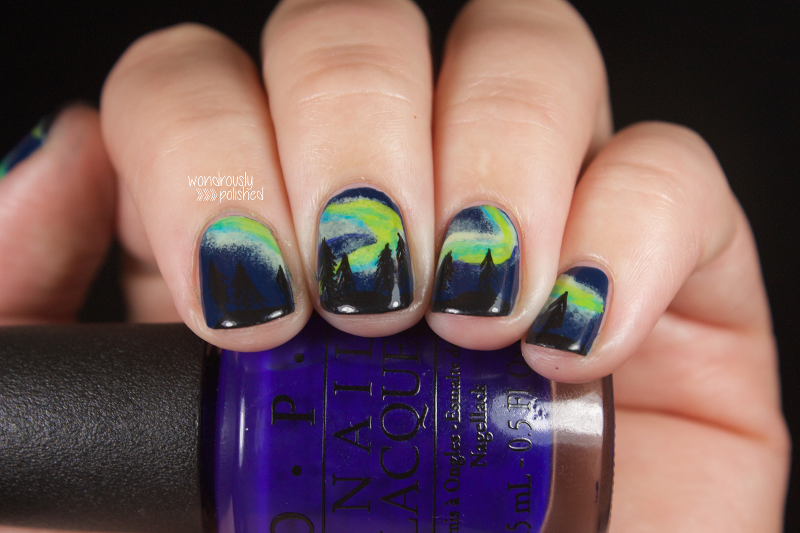 You can find the tutorial here, or by clicking the photos below. What do you think of these? 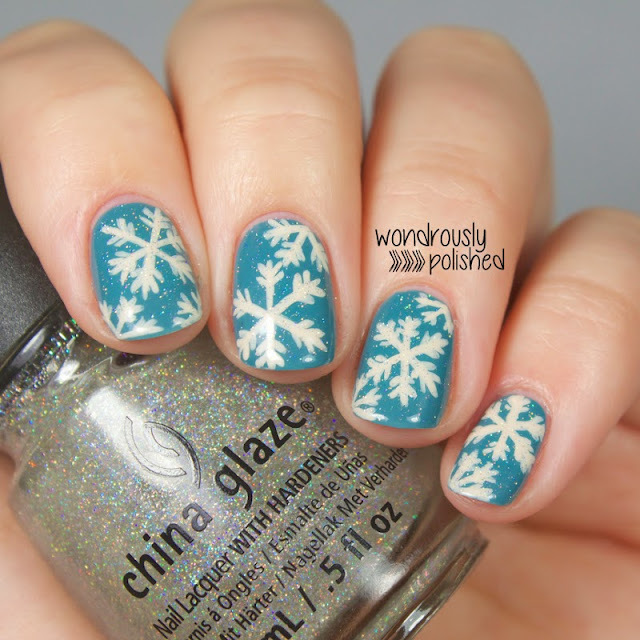 Have you be sporting any wintery looks? Happy Saturday, Everyone! I'm so sorry that I failed in getting the final day of Digital Dozen week completed on time. But, better late than never! As I've mentioned (I think in everyone post this week...haha) I struggled majorly with this theme. I actually tried to do something on Thursday and Friday night after work but I wound up spending some time relaxing with the boyfriend instead which was really great. So, I'll be honest, this challenge theme has gotten me a bit discouraged - I'm REALLY struggling with coming up with unique and different concepts for this Digital Dozen week. I wasn't very pleased with yesterday's mani and I was hoping to redeem myself with tonight's look, but once again was so stumped on what to do. I found myself procrastinating on tumblr and came across Karina Manarin's tumblr and this image. I think by now we all know I have a major love for tribal and aztec prints and always enjoy painting them and this style of print is one that it can work well with any color scheme. Yay! It's Wednesday...albeit midnight on Wednesday...but still Wednesday, so it's officially hump day here! It's also the midpoint of the Digital Dozen does Red, Green & Gold week and I must say, I'm struggling with this theme! 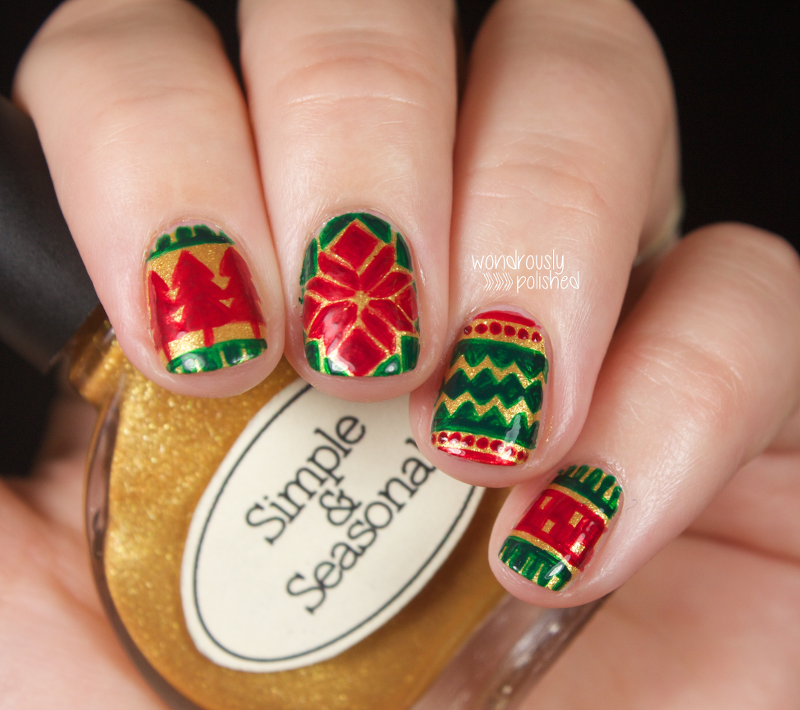 I like festive manis as much as the next person, but I feel like I can only do so much with strict colors like red, green & gold (I think we're all feeling like this!). Back during the 31 Day Nail Art Challenge, I did this sketched floral mani and for whatever reason, this concept popped into my head tonight. 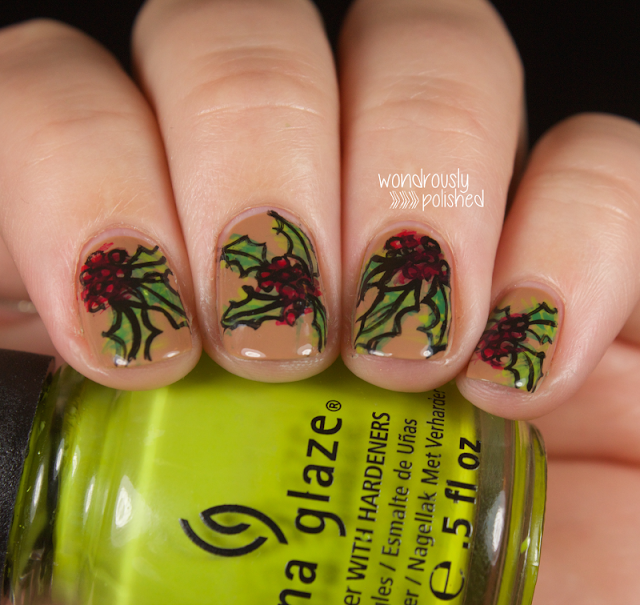 In my mind's eye this was a perfect take on some of the holly nail art I've been seeing lately and I was really excited to try and execute it. 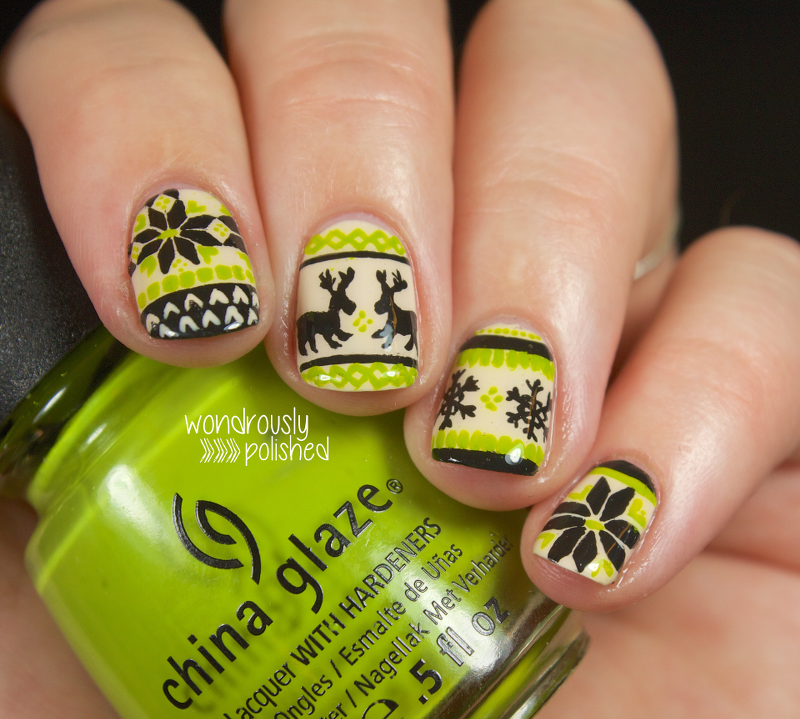 I've got another post for you tonight in hopes of getting caught up with the December Nail Art Challenge. I suppose some things never change because I'm positive that I was useless last year as well and was always behind. I was supposed to have my "Lights" themed look done between the 4th and the 6th but...well, it's almost the end of the 7th so clearly I'm not one for punctuality. Hello, all! I'm sorry I've been lacking in posting. I've been...I'm not even sure what. Trying to find my sanity, perhaps? ;) But! Tonight I've got a great little indie brand to share with you all! This was one of my favorites of the polishes I was sent. Christmas Tree is a green jelly with green hex, square, bar and micro glitters and has some large multi-colored round glitters mixed in as "ornaments" I'm assuming. I think this is such a fun polish for this time of year. The application was a breeze and easy to apply. The green jelly base of this polish is very sheer so I would definitely recommend using this over another polish, though I'm sure with enough patience you can build up the opacity and wear it on its own. I decided to have some fun with this one so I did a green gradient as my base and put a coat of Christmas Tree on top of it, and yes, instant Christmas tree! My only complaint with this one was that I had to really fish the colored round glitter out as they sunk to the bottom. 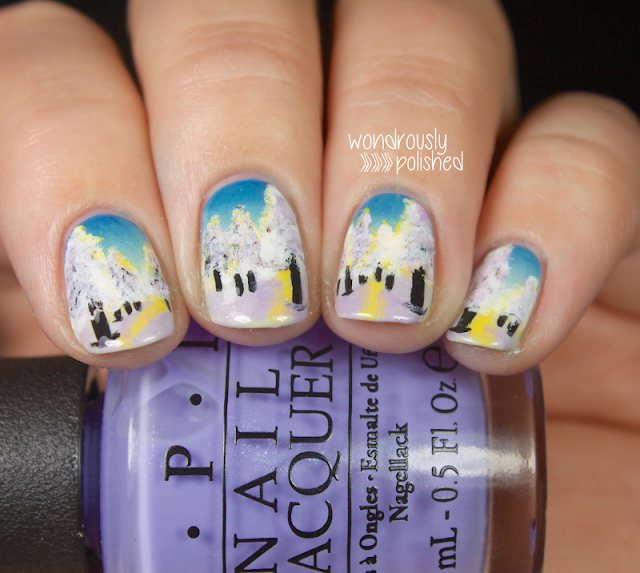 Way back in December of last year I decided to give a nail art challenge a try. 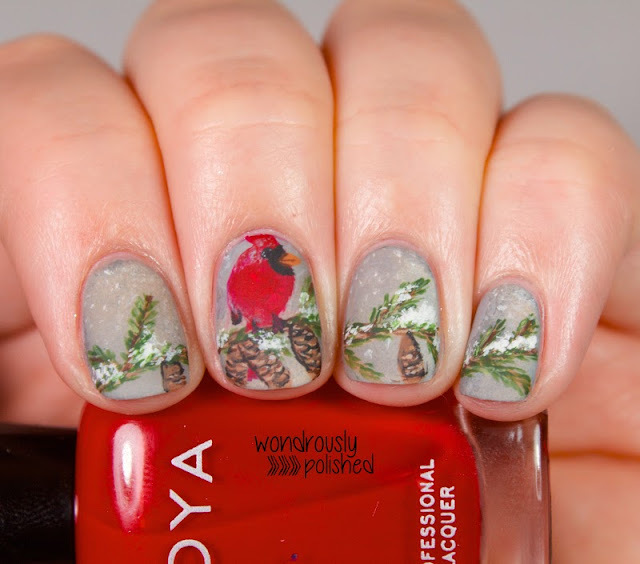 I would never have thought that it would spurn this mad love of nail art, but I can fully attribute those nail art challenges to my improvement and advancement as a nail artist. They pushed me to go outside of my comfort zone and try things I never would have on my own and for anyone looking to improve their skill and range, a challenge is by far the best way to go about that. 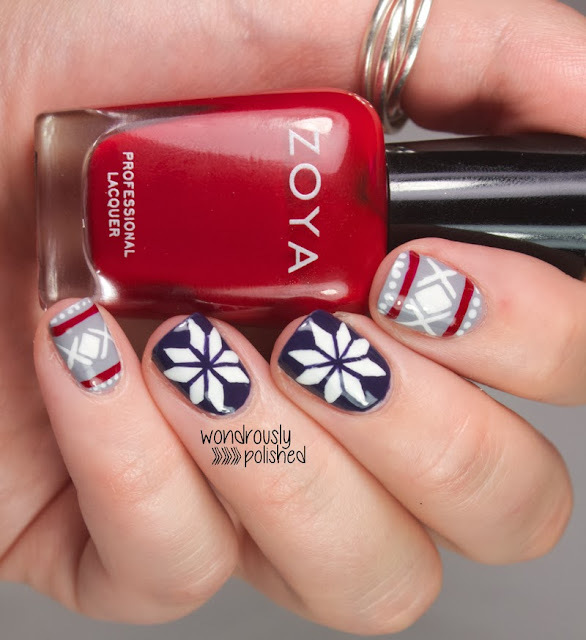 The Challenge I took part in last year was one put on by Californails on Instagram and I remember being so incredibly proud of the snowflake nail art I had created. 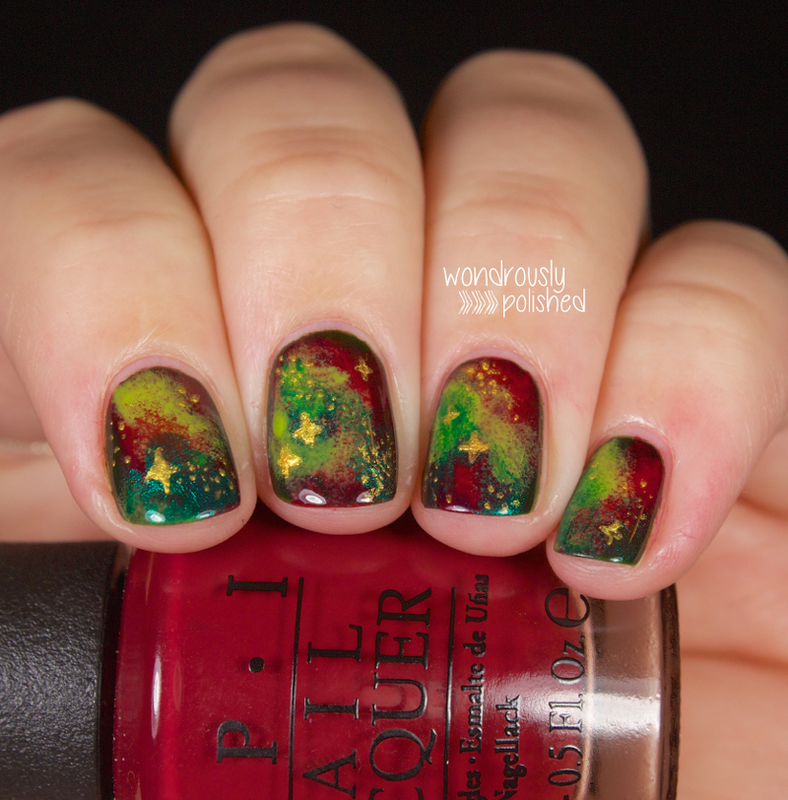 I had just gotten my first set of nail art brushes and had finally figured out how to use it and I created this mani. I've decided to continue the cycle and participate (if I can!) 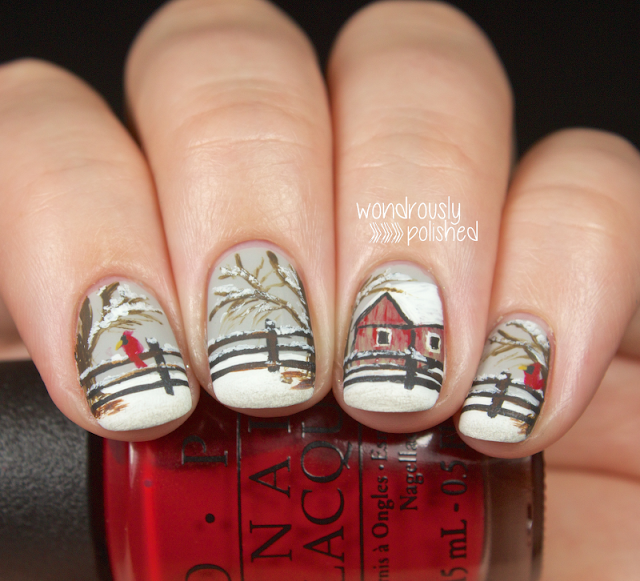 in this year's December Nail Art Challenge as well! It's all done on Instagram using tags to show your looks but I really enjoy doing them. I'm so excited for tonight's post if only for the fact that I'm doing nail art again! It's been far too long since I've gotten to be creative and it felt so wonderful to sit down with all of my polishes and just paint.